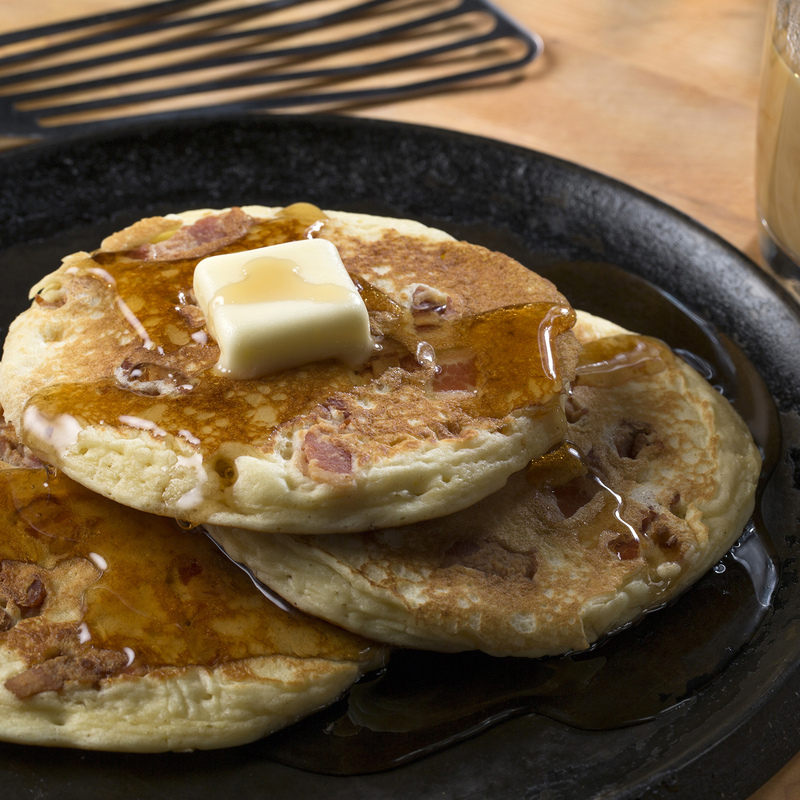 Bacon lovers will go hog wild for these sweet and savory pancakes made with Shawnee Mills Flour. Cook bacon until crisp. Cool, then crumble. In a medium bowl, stir together flour, sugar, baking powder, baking soda and salt. In a large bowl, whisk buttermilk, melted butter, egg and vanilla. Whisk flour mixture into buttermilk mixture just until combined. You should have some lumps remaining. Heat a large nonstick skillet or griddle on medium heat. Pour ¼ cup batter onto hot pan, cooking about 2 minutes or until bubbles appear. Sprinkle crumbled bacon on uncooked side of pancake. Flip, then cook another 1 to 2 minutes. Keep pancakes warm in oven, and serve with Syrup.